Judge’s Take: Washtenaw County is a system which strongly supports rehabilitation, treatment and second chances for individuals charged with drug offenses. This is great for clients who actually have a drug addiction, because the judges will allow clients to seek treatment rather than jail, but what if you don’t have an addiction, but you simply possessed drugs for recreational purposes? How do judges view these clients? If it’s marijuana, some of the judges acknowledge that this substance might be legal some day, but for now it is against the law, and will treat the case accordingly. The number one thing on the judge’s mind is not using or possessing that drug during the case. Most if not all the judges in Washtenaw County will order random or scheduled drug testing during the case, and if you’re placed on probation, you will be tested during the duration of probation. If you test positive while on bond or probation, you could be sent to jail or lose any first offender type outcomes, which you previously earned. Judges in Washtenaw County will support dismissal outcomes for possession cases if the client has demonstrated that they are no longer using the drug, and are not likely to use it illegally in the future. Judges realize that a drug charge on a resume and criminal record will be a complete disaster for employment and education. A client can be denied student loans because of a drug conviction. 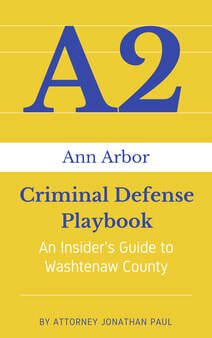 Prosecutor’s Take: The prosecutors in Washtenaw County view drugs in a similar way as the judges. Generally speaking, the prosecutors in the County will support treatment over punishment, but they charged you with a crime offense for a reason, because you broke the law. A prosecutor may not be as easy to convince to support a dismissal of charges, and the client needs to really demonstrate that the offense is isolated, and not likely to happen again. When a prosecutor charges a case, they do so because someone broke the law, and by charging the offense, they hope that people will no longer commit the offense; both the person charged, and others who see people getting charged, and want to avoid that same fate. If cases are being dismissed, does that really accomplish the goal of the prosecutor? 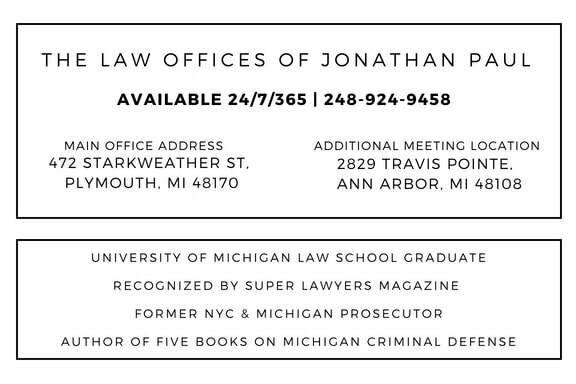 When I was a prosecutor in New York and Michigan, I viewed drug possession crimes as black and white. This is not an offense where there is a misunderstanding of sorts; if someone has an illegal drug on them, they are intentionally doing something that they know is illegal, and they could also be selling it, and harming other people. From representing clients in private practice, I have a slightly different view of the offense. Most people who possess drugs in Michigan, are not doing so for evil purposes, or bad people. The client simply enjoys using the drug, just like someone enjoys alcohol, and they are willing to risk getting in trouble with the law to continue using the drug. If it’s a marijuana offense, I tell my client to obtain a medical marijuana card once their case is over if they really want to use drugs. If the client is possessing a controlled substance narcotic, I remind them that going forward without a valid prescription they are risking everything to give up their habit and pleasure they get from using the drug. I provide them exactly how the prosecutor views their case, because I used to be in that position for many years. Being Proactive: The first thing I do for any client charged with a drug offense in Washtenaw County is tell the client to immediately stop using the drug. We discuss their last usage, and when the substance will be out of their system; at the very least the plan is to show levels are going down. We discuss taking drugs tests during the case even if we’re not ordered by the judge, because we can’t walk into court and tell a prosecutor and judge that the client is no longer using the drug without proof of it. Without the test, only the client knows the truth, and the client is the one charged with breaking the law, and has low credibility. 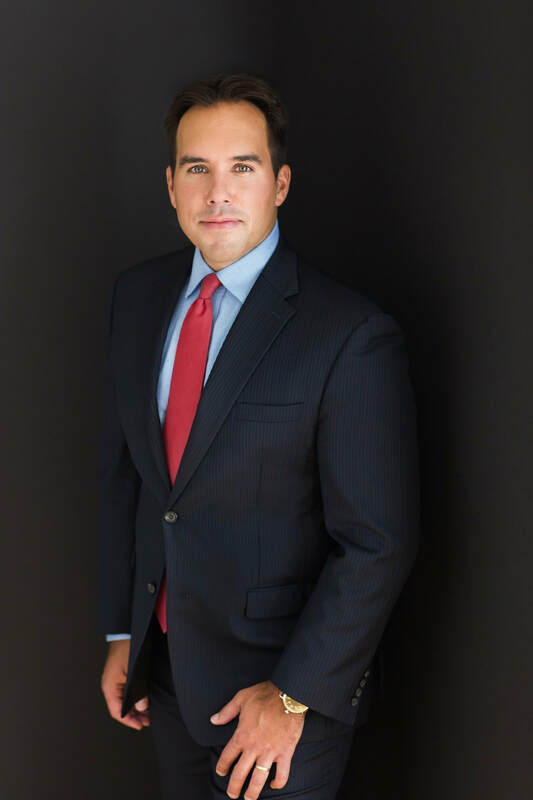 By demonstrating that the client is no longer using the drug, it is easier to convince a prosecutor and judge that the client is not likely to repeat the offense, and will not be an issue moving forward. On top of the testing, we add in an educational component to provide further tools for the client to learn more about the negative impact of drug use, and avoiding further charges with the court. One big thing clients learn is about “drugged drinking”; any level of marijuana or another controlled substance in the client’s blood can be considered drunk driving. Many clients use drugs for years, and drive without realizing that this is no different than being over the legal limit with alcohol. Depending on the level of charges, a lot of my clients undergo a substance abuse screening and assessment by a licensed professional in order to further explore any pending issues. If the professional recommended treatment or classes, I tell my client to follow this recommendation. There is nothing better than proactively seeking out help from a professional, being recommended to follow a course of treatment, and complete this recommendation during the case. A judge and prosecutor are going to be extremely impressed, and if you’ve started or completed the recommendation, a judge may not sentence you any further than what you have completed. All of my clients also add in community service hours for the reasons stated earlier in this chapter. It’s simply another positive tool to show a prosecutor and judge that the client has earned the right to have a second chance, and potentially avoid a drug conviction on their record.